There’s little to match the joy of supercar ownership. Their outrageous performance, superb handling, exotic engineering and blissful styling often with a good dollop of luxury make them among the most desirable chattels available. But there are times when weather, traffic, garaging or maintenance issues can conspire to make unleashing the supercar a less-than-tempting prospect. Or it may be that you still aspire to supercar ownership but still want to have fun, turn heads and be thrifty while also driving something manoeuvrable and convenient, but still sporty and stylish. 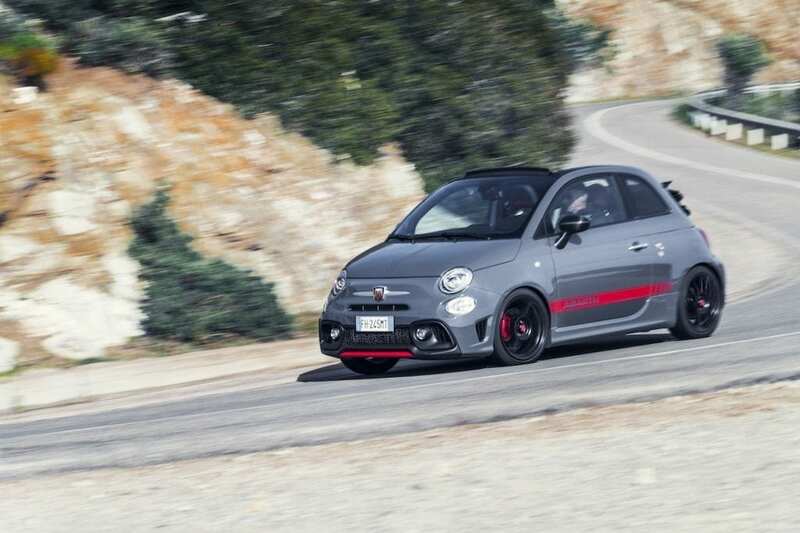 Say hello to the Abarth 595 and 695. 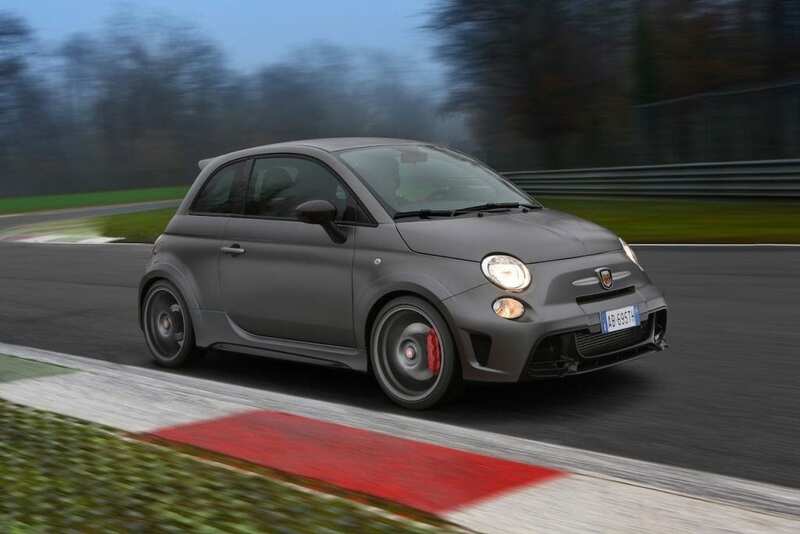 Yes, they’re based on Fiat’s cute and hugely popular 500 citycar, but nothing comes closer to being a baby supercar, especially if it’s a limited-edition gem of which Abarth has now turned out several. Unveiled at the 2009 Frankfurt show the 180hp 695 Tributo Ferrari edition boasted a host of performance orientated upgrades, it weighed a scant 1,070kg, cost £37,500 and was finished in Scuderia Red. 2012’s 695 Tributo Maserati convertible was similarly powerful, cost £32,000 and just 499 were built. 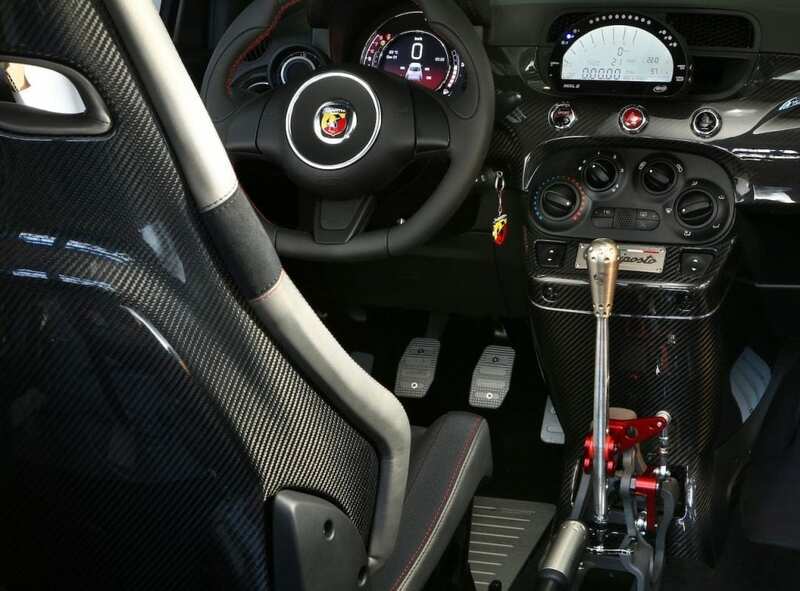 Or 2015’s Abarth 595 Yamaha Factory Racing Edition also produced in limited numbers to celebrate the brand’s relationship with the works Yamaha MotoGP team. In addition to the lovely 124 Spider, Abarth’s current range is comprised of four 595 models: the entry-level 595, the Turismo, the Competizione and the new Trofeo, plus three 695s: the Biposto, the Biposto Record and the new, limited-edition XSR of which 695 hardtop versions plus the same number of convertibles are to be sold worldwide. The 695 XSR is the third model produced in acknowledgment of Abarth’s tie-up with Yamaha and the XSR label is Yamaha’s as applied to its two XSR models, specifically the XSR900 with which Yamaha has reciprocated by producing a limited-production XSR900 Abarth. 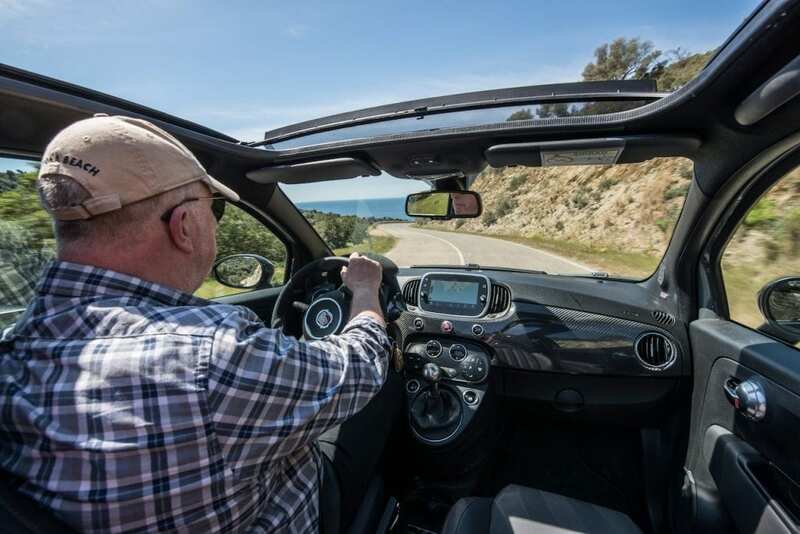 I recently attended the press launch of the 695 XSR held in Sardinia, and to keep us up to speed with the current range Abarth also shipped in some Trofeos and Competiziones for good measure. But first let’s go back to December 2014 and the press launch at the Varano circuit in the foothills of the Italian Appenines of what Abarth billed as ‘The smallest supercar’. Weighing a little under a tonne, the Biposto (‘biposto’ of course being Italian for ‘two-seater’) is essentially a street version of Abarth’s Assetto Corsa rally car. It’s powered by a 4-cyl, 1.4-litre turbocharged motor and its 190hp is transferred via a 5-speed manual to the Torque Transfer Controlled front wheels. With 0-62mph in 5.9 secs and a 143mph top speed the Biposto isn’t Ferrari fast, but it does provide a fairly hard-core driving experience so it probably wouldn’t be my car of choice for taking the mother-in-law for a Sunday drive. Nor would I relish the prospect of a long motorway trip in one – the ride might prove too harsh for that – but the wide-tracked Biposto grips tenaciously, displays fine body control, steers decently and darts between turns with serious alacrity. And the Biposto boasts a host of standard equipment made by some of the most respected names in the business: Akrapovic, Brembo, Extreme Shox, OZ and Sabelt to name but a few. Biposto prices now start at £33,055 otr, but for those wanting something more special it can be specced with the optional and exquisite ‘dog-ring’ sequential gearbox which permits such speedy upshifts that expert drivers needn’t use the clutch. It remains the first and only street-legal production car with this type of transmission and the £8,500 dog ’box option includes a lightened flywheel with a racing clutch plus a few other competition parts. Want more? Well you could also spec it with polycarbonate side windows, a Carbon Kit and a Track kit which includes LCD racing instrumentation with a digital data logger, carbon-fibre seats with 4-point harnesses (and a crash helmet). And while you’re doing that you may as well throw in an aluminium bonnet with titanium fuel, oil and water caps, all of which two years ago bumped the Biposto’s price to just short of £54,000. Still, at least you can have one in any colour you want so long as it’s Satin Grey, or yellow if it’s one of 2015’s 133 limited-edition Biposto Records which retailed for £36,610 plus options. The Biposto, especially a heavily-specced one, might be considered a little too hard-core to be a daily driver, but that can’t be said of any of the above models which, without sacrificing practicality or comfort are all highly entertaining. 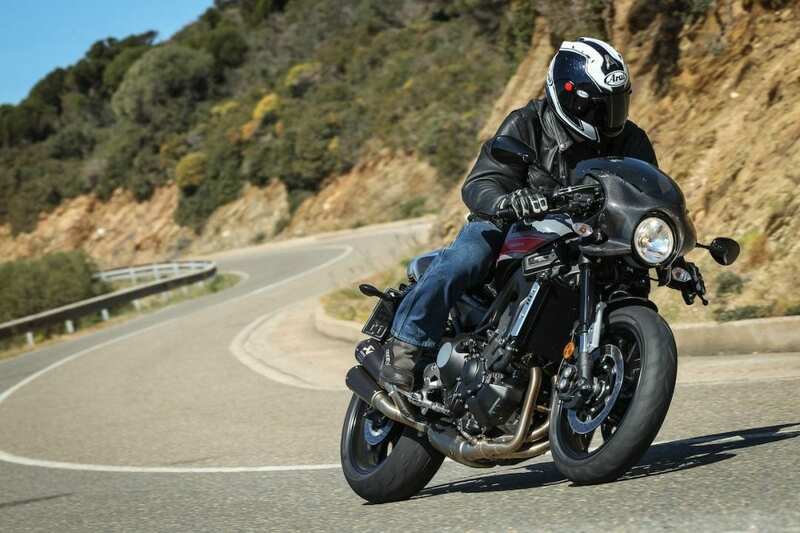 Along with the limited-edition 695 XSR, the 595 Trofeo is the newest addition to the range, and it’s available in either as a hardtop hatch or a convertible. With 160hp the Trofeo is intended to fill the gap between the entry-level 145hp 595 and the 165hp 595 Turismo, although somewhat curiously the Trofeo’s quoted torque and performance figures – 230Nm (170lb/ft), 0-62 in 7.3 secs, 136mph max – are identical to the Turismo’s. Why this should be is anyone’s guess, but if the quad-tailpiped Trofeo is 5hp down then I certainly didn’t notice it on the road where it accelerates with conviction, rides comfortably (at least on the Sardinian test route which was, by UK B-road standards, pretty smooth) and scurries through bends without any drama. Inducing understeer on the public road, even in a tight hairpin, requires a ham-fisted, leaden-foot driving style. Unveiled at this year’s Geneva show and conceived as a kind of four-wheeled sibling to Yamaha’s XSR900 Abarth motorcycle, the Abarth 695 XSR is essentially a limited-edition version of the 165hp 595 Turismo. Like the XSR bike, the XSR car also has an Akrapovich exhaust with twin carbon tailpipes. The XSR’s interior is also impressive with many pleasing details, especially the alcantara-trimmed instrument pod which for me at least was a definite nod to a 1990s Diablo. Out of sight is Koni front suspension with Eibach springs, while its Pista Grey exterior and matt black 17” alloys look fab. Notwithstanding that mysterious 5hp, the 695 XSR’s driving experience is essentially the same as the 595 Trofeo’s, despite minor suspension and other detail differences. The 695 XSR’s UK price has yet to be announced, but it’s likely to start at around £29k plus options, eg: a 180hp tuning kit, Koni rear suspension, 4-piston Brembos with drilled/vented discs and high-performance Ferodo pads. And should you yearn for still more leather/alcantara and carbon inside then there are boxes to tick for that too. 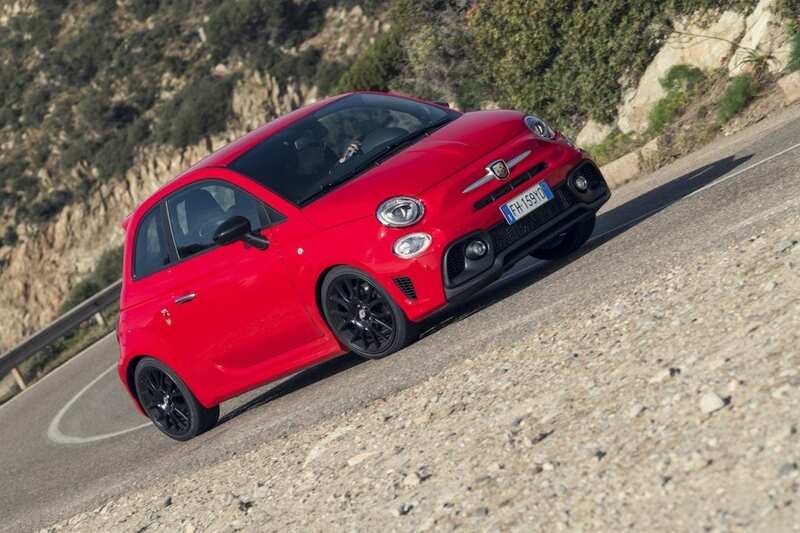 Those seeking the most performance from a 4-seater Abarth need look no further than the 595 Competizione. Packing 180hp as standard it’s not quite Biposto quick, but it’s noticeably quicker than the 160/165hp models, and its 4-tailpipe ‘Record Monza’ exhaust sounds wonderfully fruity. The Competizione also features Koni suspension front and rear, and beefy 4-piston Brembo front calipers as standard. Fancy a pint-sized pocket rocket to compliment your 6-litre V12? At JBR Capital we love supercars of all sizes and we can quickly build a bespoke finance package to suit your needs. So if you’re interested in acquiring anything from an Abarth to a Zonda then please call one of our experts today on 020 3355 0035 to explore your finance options. 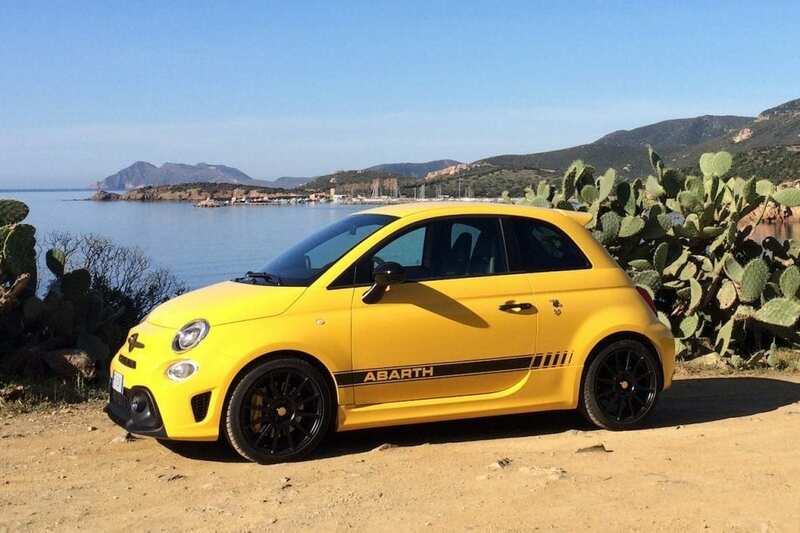 Abarth’s 595 and 695 model numbers are not indicative of performance or specification, but are historical. The original 1960s Abarths were 595cc, and then the more powerful versions were bored out to 695cc. The badges are now used broadly to separate the limited-edition or more special variants from the ‘normal’ range. Abarth was founded in Bologna in 1949 by the Viennese-born Karl Abarth, although by the time he’d relocated to Turin a few years later he’d become ‘Carlo’. Initially the firm produced go-faster parts for Lambrettas and esoteric Italian racing cars. 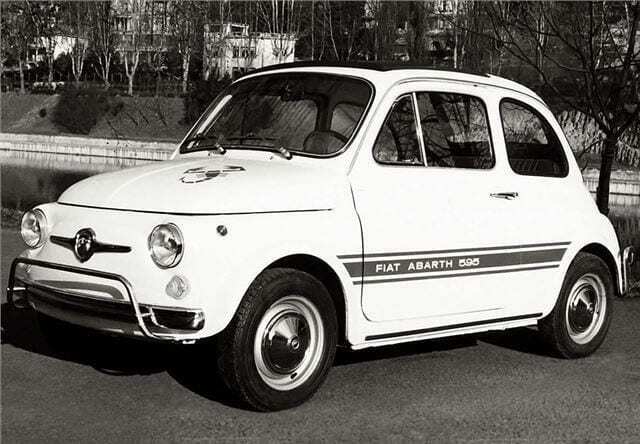 It later produced its own sports and racing cars but perhaps became best known for the diminutive Fiat 500/600-based, high-performance Abarth models of the 1960s. Fiat subsequently bought Abarth in 1971 and it became the Fiat Group’s racing department, much like BMW’s M division or Mercedes’ AMG. In 1977 Abarth was merged with Lancia’s factory rally operation, and in 1981 this was replaced by a new department which continued to manage Fiat, Alfa-Romero and Lancia competition activities. From the 1980s the Abarth name was used to identify the more sporting Fiat models, and in the 2000s the brand name was further demoted by becoming a spec level on certain Fiats. 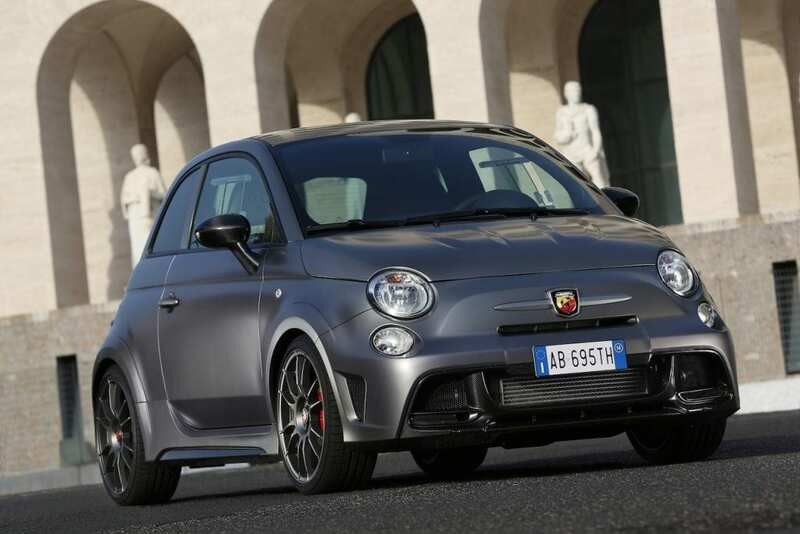 In 2007 Abarth was reborn as an independent company owned by Fiat Group Automobiles (now a subsidiary of Fiat Chrysler Automobiles) and, having come full circle, the Turin firm once again produces speedy Fiat 500s under the Abarth name. With a scheduled production run of 695 units, the £9,999 XSR900 Abarth is a café racered version of Yamaha’s existing £8,299, 847cc, 3-cyl, 115hp XSR900, which in turn is a retro version of the contemporarily-styled Yamaha MT-09. 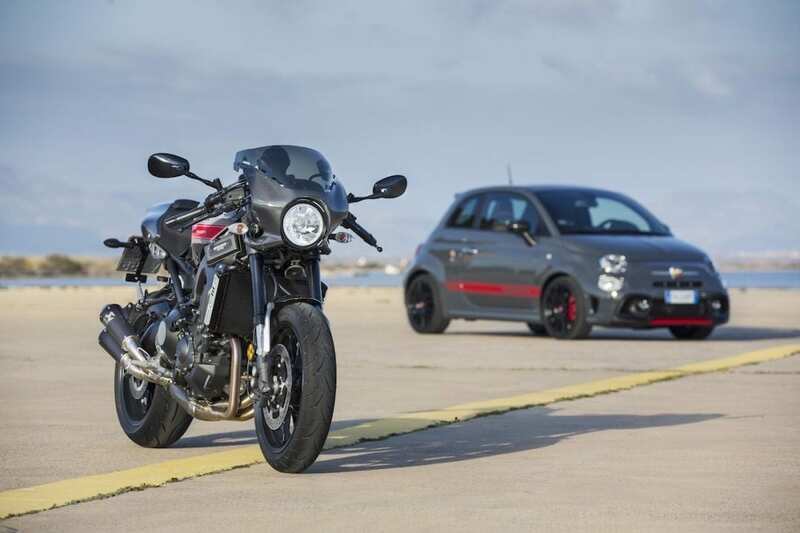 The XSR Abarth bike’s Nimbus Grey paint matches matches the Abarth XSR car’s Pista Grey, while other mods to the standard XSR900 include a carbon pillion seat cowl with carbon front mudguard and bikini fairing, a numbered aluminium plaque, an ‘Ultrasuede’ upholstered dual seat, an Akrapovich exhaust and a ludricrously low and overly wide handlebar that does indeed keep your body tucked in, your weight lower and help you look cool, but also causes painful discomfort after less than an hour’s riding. Fortunately the standard XSR900’s handlebar comes with the machine. Other than that the bike is an absolute peach – it handles superbly, stops on a sixpence, sounds great and in a straight line would leave any Abarth car and even a few Ferraris for dead, at least up to its c.140mph top speed. If you want one you’d better be quick because at the time of writing there were only about 50 XSR900 Abarths still for sale in the UK.